Treadmill: Burn fat and calories, tone your entire body, keep your heart and joints in shape or even train for a marathon… there is not much that running can’t do!Our top of the line Technogym treadmills have all the functions runners need to train intelligently, including heart rate monitors available to borrow. Rowing: Rowing is a very effective cross training exercise for runners and is considered to be one the most effective cardio activities for the entire body.Especially important to runners is the chance to work out the upper body muscles that can sometimes be neglected by even the most serious athletes. By keeping the rowing machine tension at a low level, it is possible to maintain a high rate of speed with little resistance, and reach and maintain an aerobic state. Cycle: Cycling is among a runner’s most valuable tools for training the body to build endurance, create more power, and reach peak racing condition. Cycling works out different muscles in the legs, helping to balance muscle load and reducing the chance of injury. It also helps stretch out the leg muscles and gives the feet and ankles a break from the pounding of running. 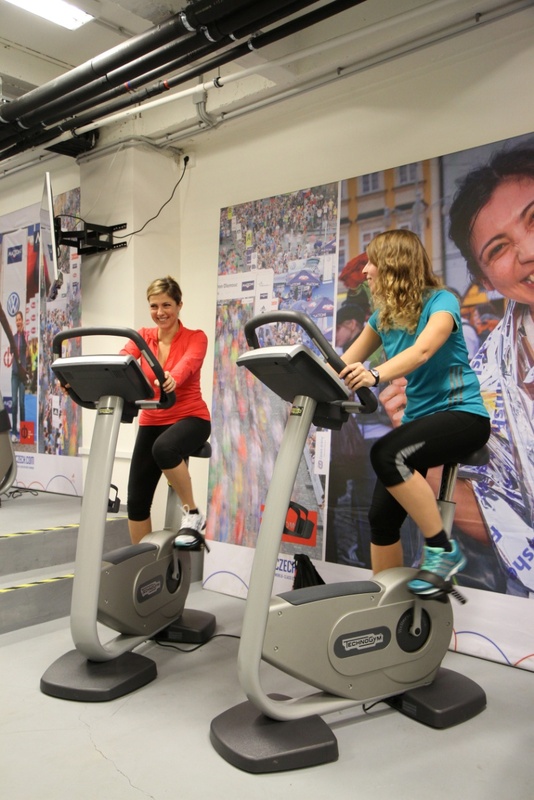 Cycling is an excellent exercise in rehabilitation or recovery from an intense or long run. Elliptical trainer: The elliptical machine provides one of the lowest impact workouts of any cardio activity. By involving the arms as well, runners get the upper body movement while improving coordination and being kind to the joints, especially in the knees and hips. Resistance training of all muscles is made possible with Technogym Unica (multi-muscle) and Multipla (guided barbell) machines, as well as, abdominal bench, back bench, free weights, and kettlebells.TRX and balance balls complete our strategic and comprehensive equipment selection for runner’s conditioning. 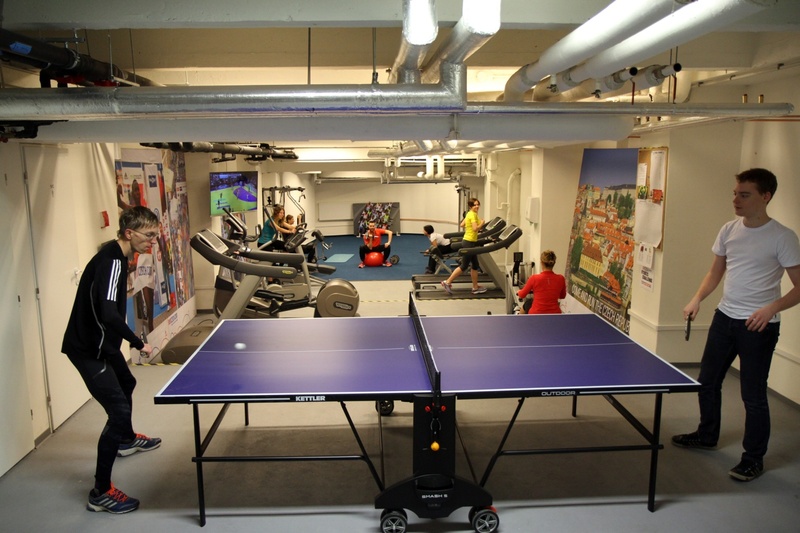 Reward yourself after a tough workout with a game of ping pong or table tennis with your running friends. Become a member of our PIM Running club for access to the SPORTS LOUNGE. 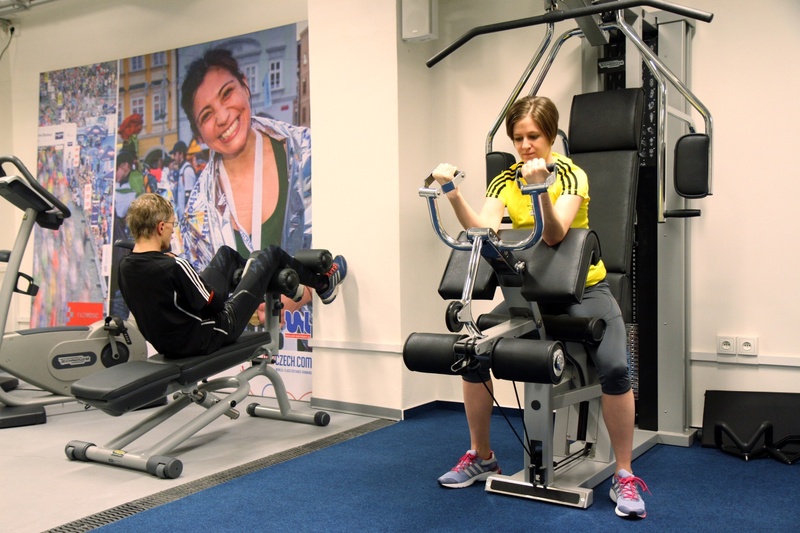 If you are new to using gym equipment or have questions about a specific machine, please do not hesitate to ask our professional trainers for consultation.